Our website boffins have been busy and we are pleased to announce the completion of a few backroom changes to the way our website works. These changes are intended to improve the usability of the site and the service we offer to the LGBT community. 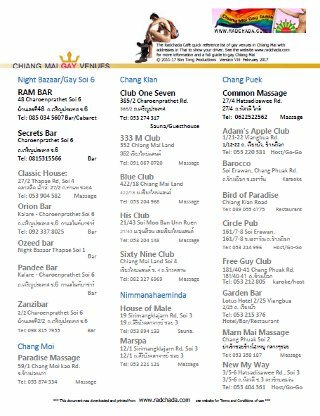 The main changes include new pages with maps that can be shown to a taxi driver, along with an overhaul of the tags used for articles effectively giving each gay business in Chiang Mai its own page on our website. Other changes include improving the functioning of the site on mobile devices and improvements to menus and structure. 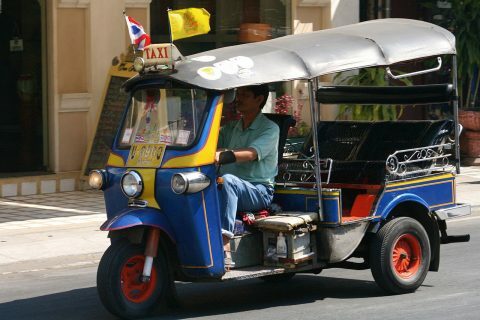 Finding your way around Chiang Mai can be a challenge. Whilst we have always offered our Quick Reference Gay Guide which you can print and show to a taxi driver, in this age of smart phones we’ve added an online equivalent. 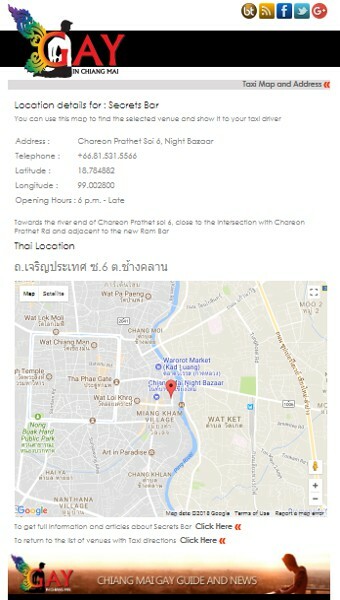 Our taxi pages provide each venue with a simple individual page showing address and location details in Thai and a google map. Nothing else – just keeping it as simple as possible. The page is easy to display on a smart phone and show the driver directly. Or you can take the Geo location and use to call a car from Uber or Grab. Of course, for those who prefer the old fashioned approach our printable quick reference guide can still be downloaded: click here There is also a directory (A-Z) of all the taxi listings so you can pick a venue directly from there: Click Here. As well as tags, articles are also organised by categories, a directory of categories can be found here: www.gayinchiangmai.com/News/category/. Categories can be selected from the drop down menu in the sidebar, (or towards the page bottom on mobile views) too. Tags are also included for venues in our database that have closed so provide a source of information to remind us about some of the many long since defunct gay places that the LGBT community enjoyed in the days of old. e.g. Who remembers Coffee Boy? To make it easier to get the information you want, we’ve also added a set of quick links letting you access some of the sites key pages with a single click, without having to browse menus.